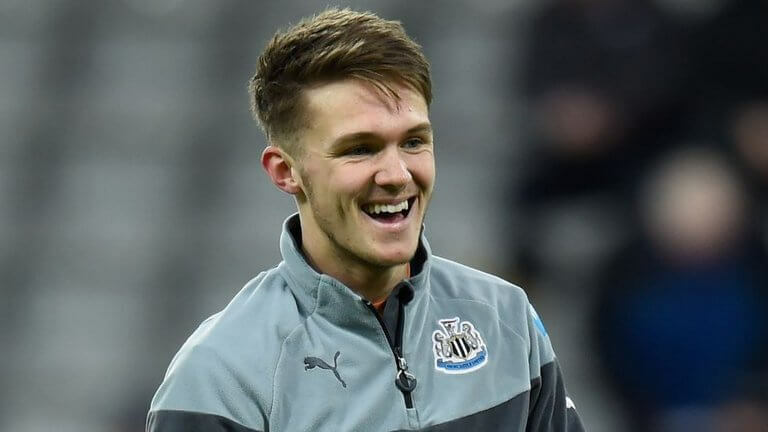 Newcastle United’s England youth international Freddie Woodman has been playing for the England U21 team in the Toulon Tournament in France. But although England beat Qatar 4-0 in their last game, they must wait to see if they qualify for the semi-finals. They finished level with Mexico on goal difference but scored one fewer goal, and they must hope that old enemy Scotland lose to South Korea. At the time of writing Scotland are winning 2-0 after 30 minutes, so it doesn’t look too promising. Newcastle’s 21-year-old went on loan to Aberdeen this year bit only played 8 times before Joe Lewis, their number one goalkeeper was fit again and returned to the starting lineup. Several League One and Championship sides are keen to take the goalkeeper, but Rafa has to ensure he will get plenty of games wherever he goes next season. 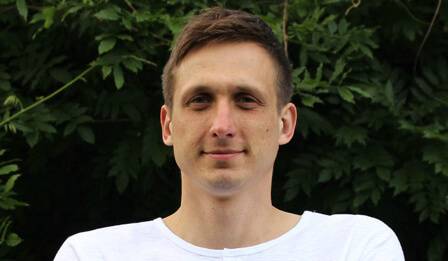 Newcastle will have three senior goalkeepers at the club next season – newly signed Martin Dubravka will start as the number one, with Karl Darlow as the backup; Karl is looking to sign a new contract this summer. Rob Elliot will probably start as the third choice in August and last summer he began as the number one choice goalkeeper and finished as the third choice goalkeeper, after losing his place through injury. Freddie is keen to get first team playing time experience so a good season out on loan with a Championship club and he may be ready next summer to stay at the club and fight for the number one position at Newcastle. Freddie has played once for Newcastle and 29 first team games while on loan at Crawley Town, Kilmarnock and Aberdeen. you shouldn’t believe everything you read! Especially if you/Jib write it. It’s the PL AGM this week I believe. One of the main topics will be safe standing again. The majority appear to be in favour, but the problem is the government. The thing is, Hillsborough had nothing to do with standing fans. And most definitely not safe standing fans. Hillsborough was down to bad organisation. Safe standing offers all clubs a chance to increase their capacity without extending the ground. We could fit a lot more in and boost the atmosphere in the process. I read somewhere we could increase to as much as 67k. No need to move or extend the ground. That would be the ideal situation because there’s certainly no appetite to move ground amongst fans and probably even less from above because of the cost. SJP is our home. Get safe standing put in and capacity is increased without monumental expense. Personally I’ll remain seated. 🙂 Little choice in the matter, but I’d still love to see people given the choice. The real reason that Ashley wants to sanction any transfers over £15m is that’s the credit limit on his Visa and that like his transfer policy neither are working. The fans should apply more pressure. Is where but what will Jib do without a tray for his sandwiches and flask ? Loch, apparently – and I’m just repeating here I ain’t an expert – you can put more in rail seating than seats. 67k was a number quoted the last time this came up and I can see how you could fit a lot more in. The gap between seats would be reduced and that adds up. Even if the number I was quoted was wrong, there’s little argument you could fit more in. Compared to the cost of extending the ground, or – god forbid – moving to a new ground, the safe standing as a way of increasing capacity has to be the best way forward. Even if it only increased to 60k. I imagine the cost could, be quickly reimbursed over a season of two. Clearly a successful Newcastle needs a bigger ground. 52k in the Championship is the proof of that. Plus anything that boosts the atmosphere has to be good. Jib, that proves, my point I reckon! 🙂 There’s, clearly a lot more fitted into that space than would be if it was all seating. From my own experience through the years I know that you sing a lot better standing up than sitting down. The magic of it is you still get your own place in the ground, as you would with seating, but there’s not risk of a crush because of the railed protection. Problem is, it make so much sense that you can’t help but think the blazers at the FA won’t see it. Well apparently it was a good way to soften up your army boots my dad reckoned. Can’t imagine it doing your Pumas any favours though. Although your feet would be warm for a while in winter. As they found all the way back from the Ibrox disaster, standing is only a problem if there are no break bars of sufficient strength installed so any falling/piling is restricted to small groups and amounts to an inconvenience and loss of pie/beer/Mars bar twin/mobile phone rather than lives. It only requires the seats ripping out and the will to install proper barriers. It could be done in rows at the back of stands and progress forward as required. Be a pickpockets buffet though. Although you wouldn’t have beer i suppose. And hot drinks would have to be banned, a hot coffee poured down the back of the neck could put a crimp in your outing. The thing is, away fans never sit down. Whether it’s us at away grounds or fans at SJP, away fans stand. Standing with seats behind you is far more dangerous. I was at Blackburn a few seasons back, in the cup. They were winning 3-1 going into injury time and we scored. All those fans already leaving turned round and came back, so ended up standing in the aisles in great number. We then equalised and pandemonium ensued. I got thrown over the seat in front of me and was really lucky not to get hurt. With rail seating as they call it, you have a defence behind and in front of you. Nobody can come over the top. It makes so much sense. Bobby – sounds good to me. Just a question of where the standing areas are to be located. Gallowgate corners perhaps so that the flag bearers behind the goal still have room to operate. Needs to be pitch side upwards so at the Leazes end corner maybe the whole way from Level 7 down to the pitch. Sadly doubt it will happen at Premiership grounds but elsewhere might be possible. I seem to recall one game where things got a bit tasty (might have been the Liverpool /Enrique Top 6 one) where everyone was jumping up and shouting the lad behind me jumped so quickly he ended up jumping on my back and the lad to my right jumped to get out of the way and ripped the seat back in front off with his knees. I thought at the time if i hadn’t managed to stay stood up with this big lad piggy backed ha ha and I went forward, there’d have been a bit of dominoes going on that day. Tbh I can see no downside to safe standing myself. There’s nobody stood directly behind you that doesn’t have a rail between you. Better atmosphere and greater capacity. I hope I live to see it happen. Even if they made the entire Gallowgate standing and the rest sitting, the atmosphere would be better and, as seen in the picture Jib posted, a lot more in. Nice to see England’s cricketers making a better fist of this test match. Already a lead with seven wickets still to go. Will take some serious messing upto lose from this position. Reading on the subject, Traore is going to cost someone 30 million. I think he’s worth that. And we should move in before the big 6 jump in. This player can make a palpable difference. Here’s how it looks. As you see, nobody can come accidentally piling over the top. You’re protected front and back and you fit a lot more in. Each person has his/her own segment, so you only fit in as many as it allows. No crushing. No overcrowding. Just a safe area to stand and watch and sing. Hibbett, people would inevitably have to be moved if they decided they prefer to sit in an area designated as safe standing. That said, I imagine there would be enough people wanting to stand and they could move into said areas and swap places with those who don’t. Nobody already a ST holder would lose their place, but they might have to move. That’s progress unfortunately. I think the way to do it would be send out a letter to every ST holder asking whether they want to stand or sit. That way you could get a rough idea how many safe standing ‘seats’ are required and thus decide where would be the best place to situate them. Some decent odds o win the world cup. Russia 66/1. Argentina or Belgium 11/1. Right, time to watch England v Nigeria fast approaching, so time to take a break. Enjoy the game if you’re watching. Cahill is past his best. Dier usually gets caught dithering on the ball. Probably win – but will be interesting to see who caqn provide the long ball or the ball for a runner. Stones usually switches off and gets caught out once per match.